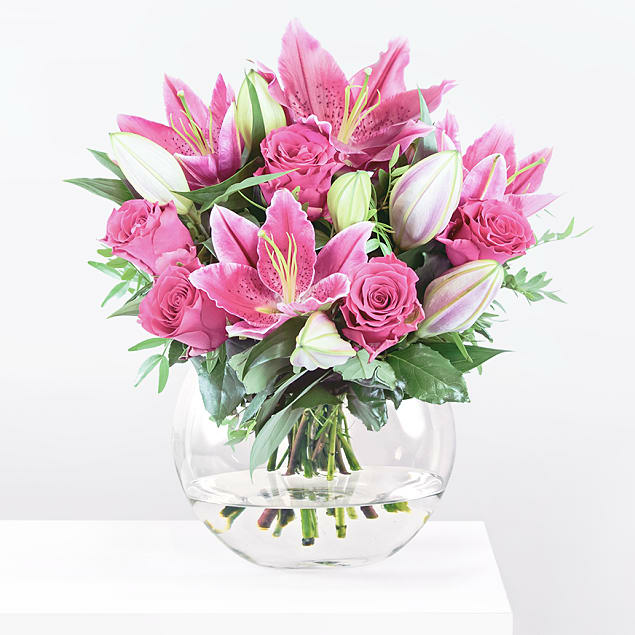 We have chosen pink Rhodos Roses, Stargazer Lilies, and Pistacia for this elegant floral display. The bright and bold shades of pink against the lush green backdrop make this arrangement extremely captivating. This is a popular choice for all occasions including anniversaries, birthdays, get well soon, and more. 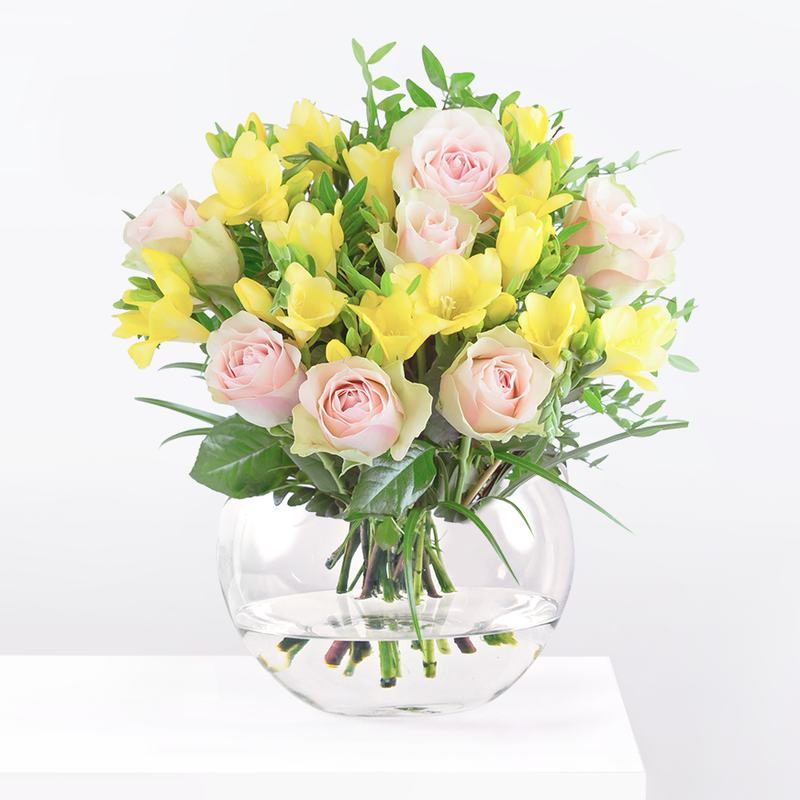 When you send these flowers, don't forget to include a special message for the recipient. Nurture has been added to your basket.